Product prices and availability are accurate as of 2019-04-11 23:00:29 EDT and are subject to change. Any price and availability information displayed on http://www.amazon.com/ at the time of purchase will apply to the purchase of this product. 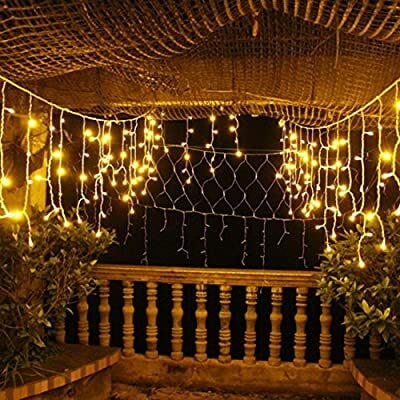 Safe voltage output design: string lights using 30V low voltage design, to ensure human safety, to prevent electric shock occurred, UL listed, the use of more at ease. 8 Adjustable Light modes:Combination, Waves, Sequential, Slo-glo, Chasing/Flash, Slow Fade, Twinkle/Flash, Steady On. You can adjust your favorite mode, string lights and have a memory function, he can keep the mode when you shut down, you do not have to access the power to adjust it every time. 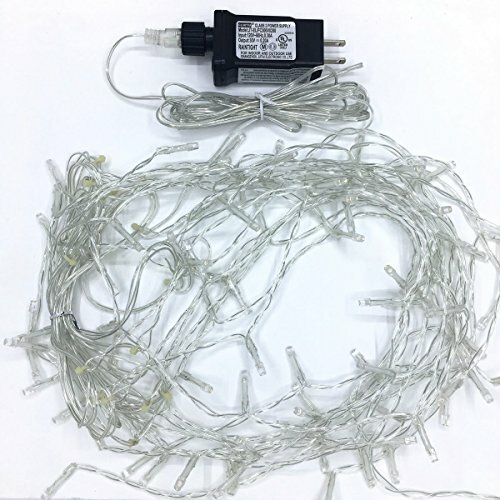 Package included: 1*LED icicle curtain light. 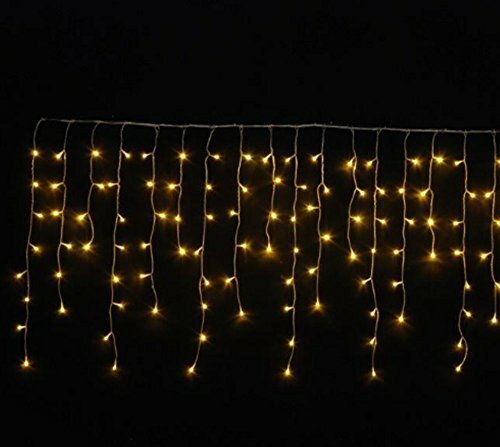 NOTE:Up to 3 string lights can be connected. After the string lights are connected, only one power supply is needed to work normally. 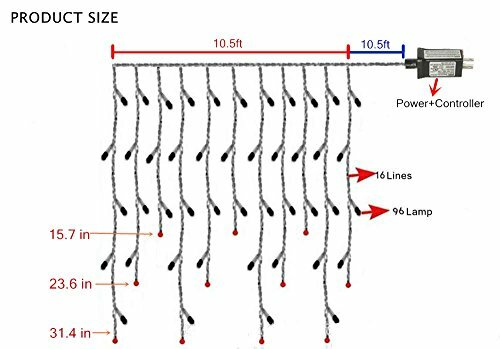 DOULINE Icicle string lights has 96 LED bulbs,8 different lighting modes,30V human safety low voltage output,UL listed. 8 different lighting modes: Combination, Waves, Sequential, Slo-glo, Chasing/Flash, Slow Fade, Twinkle/Flash, Steady On. You can use it anywhere you want in any mode and it has a memory function. 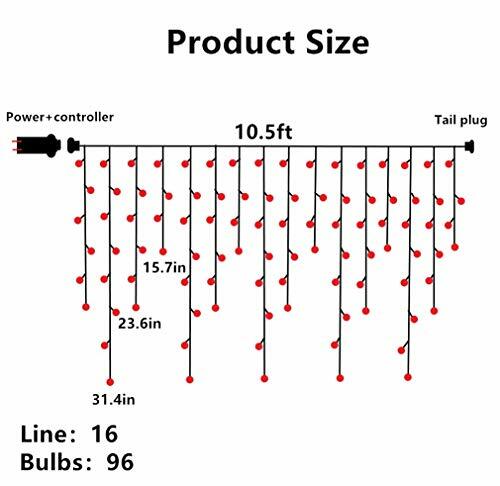 Easy to use:Plug in or unplug the cord for easy power on and pff.With one button for switching between 8 modes.NOTE:The string lights can't be linked together. Waterproof level: IP44, which allows you to use the lights both indoor and outdoor. 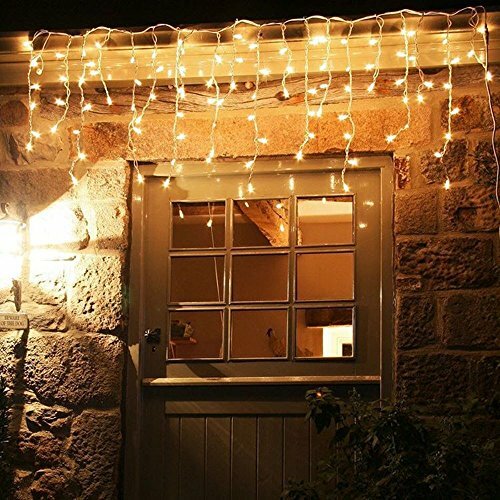 Beautiful led light curtain icicle light popularly used for decorative - party, wedding, home, kitchen, window, wall, bathroom, bedroom, festival, Holiday, Christmas warm up, doors, floors, ceilings etc.